The lack of voter awareness on the Limited Preferential Voting, or LPV system continues to be a challenge for voters across the country. Moresby North East Assistant Returning Officer, Sepoe Gabutu, made this remark when addressing candidates and scrutineers from the Moresby North East electorate in a briefing yesterday. Mr Gabutu said the lack of awareness results in many informal votes which affects the end results of the election. “The biggest problem I see in Papua New Fuinea and across the country is that the attitude towards LPV is based more on awareness and education. 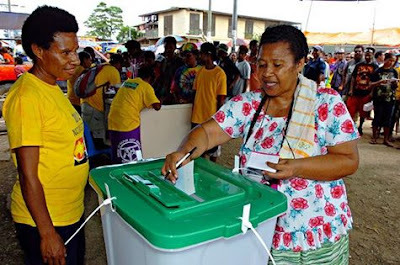 Most voters in Papua New Guinea or it may be in the rural setting or in the urban, lack the understanding of what the LPV system is. Because with LPV we are given three choices, so by law and by the requirement of LPV you have to put down the three preferences,” he said.